Cream cheese and sweet peppers are the perfect match. 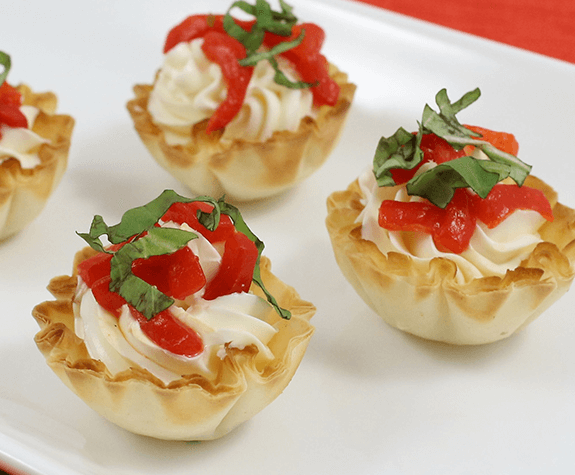 The addition of a little basil on top balances out this yummy appetizer that no one can say no to. On a gas stove top or grill, lightly char the red pepper on an open flame until char marks form on the skin. Remove red pepper from the flame, place in small bowl and cover with plastic wrap for 5 minutes. Uncover pepper and remove the skin. If using the jar of peppers in place of fresh pepper, drain the peppers. Lay the drained peppers on a clean kitchen towel or paper towels to dry. Press the top surface with another paper towel to remove any excess liquid. Cut pepper into small slices. Spoon one teaspoon of cream cheese into each Mini Phyllo Shell. Top with roasted red pepper slices and basil leaves. 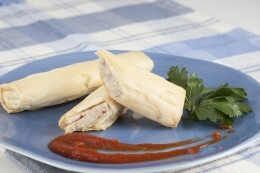 Chicken sausages get a flaky Phyllo wrap with this easy and kid-friendly recipe. 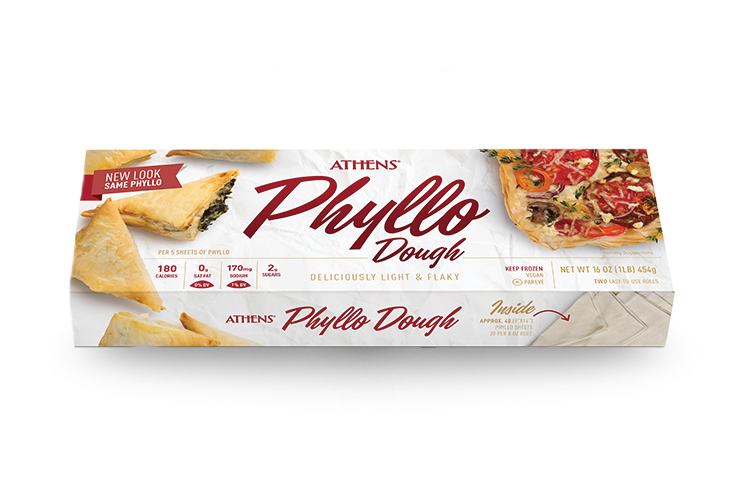 Stuffed with a mixture of asparagus, potatoes, goat cheese and seasonings, these flaky and meat-free phyllo tarts are sure to please your dinner crowd.